James Runcie, chief operating officer of the Department of Education’s Office of Federal Student Aid, quit his job suddenly Tuesday night and sent an email to his staff outlining his reasons for not wanting to work in the Trump administration. Runcie was an Obama-administration holdover who was first appointed in 2011 and then reappointed in 2015 for a five-year term that would have ended in 2020. The Washington Post reports that Runcie planned to retire at the end of the year, but clashes with the current administration forced his hand. The Education Department announced Runcie’s departure Wednesday. The Post reports that Runcie did not respond to its request for comment, but Education Department spokeswoman Liz Hill said that Runcie refused Education Secretary Betsy DeVos’ request that he testify before the House Oversight and Government Reform Committee on Thursday about the department’s handling of improper financial aid payments. In the email Runcie sent to his staff Tuesday night, which the Post was able to obtain, he told his staff that he declined to testify because the department’s chief financial officer, Jay Hurt, is the point man and expert on the subject, adding that “the department spent considerable time and resources to ensure the Jay is well prepared for the testimony” and he had not “heard a single compelling reason” from DeVos’ staff as to why he needed to attend the hearing. Runcie also said that rather than contend with pressing projects such as weighing a student-loan-servicing contract bid, shoring up cybersecurity, building out the expansion of the Pell Grant program and tending to loan forgiveness for defrauded borrowers, the Trump administration has been preoccupied with transferring all or a portion of the functions of FSA to the Treasury Department. There have been discussions about creating cross-agency teams, holding numerous meetings and retreats to determine feasibility, Runcie said. Sounds as if Runcie felt like he was being made the fall guy for the department’s failings. Senior officials within FSA, who spoke on the condition of anonymity because they were not authorized to speak publicly, said Runcie’s departure left many in the financial aid office befuddled and, in some cases, in tears. One 25-year veteran of the department said Runcie had the respect of leaders in the office because of his dedication to a difficult job, but Runcie refused to be “thrown to the wolves” at the hearing. The official said the administration has shown a lack of respect for civil servants at the department, even though DeVos publicly praised their work when she first took office. The secretary also has said she is keeping an eye out for employees sympathetic to the Obama administration who might try to “subvert” the mission of the department. Runcie’s duties will be handled by Deputy Chief Operating Officer Matthew Sessa until a replacement is found. I’m not mad at James Runcie. 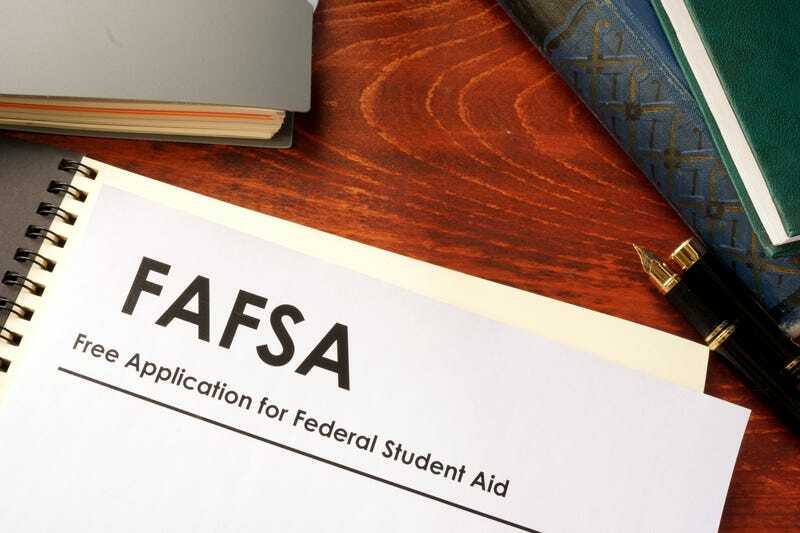 Student financial aid is a mess right now, and all the news coming out about the mishandling of student loans by such servicers as Sallie Mae/Navient doesn’t make them look any better. I wouldn’t let them throw me under the bus for all their nonsense, either. The thing is, though—and I am not by any means defending DeVos—she inherited a lot of this mess when she got her position. The problems with Pell Grants and student loans predate her, so what was Runcie doing under the Obama administration?